•	How do I support my organization with change efforts? •	Do I inspire and engage my teams? 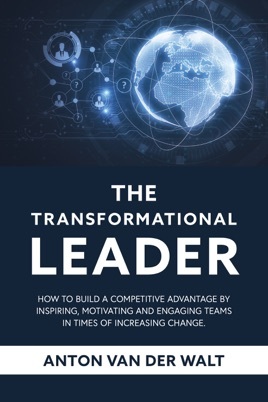 •	Do I deliver transformation through culture and accountability? •	What stops me and my teams from achieving excellence? 1. Know yourself. This is self-awareness: who you are, what motivates you and what derails you. 2. Lead yourself. This is about self-management: taking care of yourself, self-control and mindfulness. 3. Lead the team. This is understanding team metrics, team effectiveness, deliverables and how the leader and individuals’ function in the team. 4. Lead the business. This is business and people metrics: strategy, culture and engagement. 5. Lead the industry. This is about courage, legacy and, most importantly, influence.